This stunning plaque is by a Greek artist and enamellist, of Russian descent, Milon Michael Andreewitch (1879-unknown). 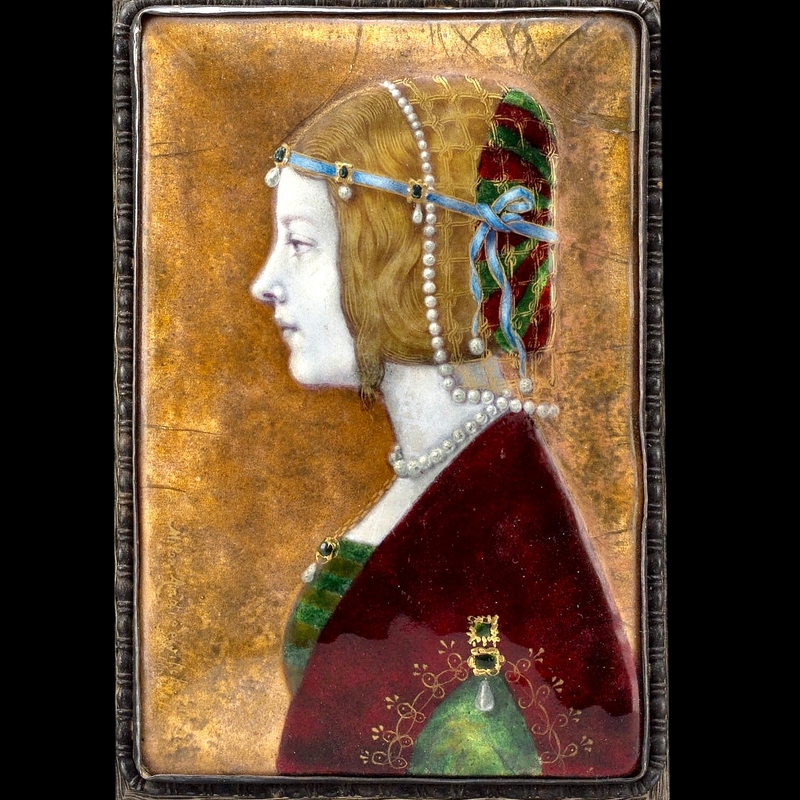 This enamel is believed to be of of Beatrice d’Este, (possibly her sister of Isabella d’Este Gonzaga Duchess of Mantua) after a 1490 painting by Ambrogio de Predis. Beatrice and Isabella were two of the leading women of the Italian Renaissance and major cultural and political figures. The enamel is of superb quality and is in the style of both British arts and crafts enamels, as well as the flatter Limoges continental style. 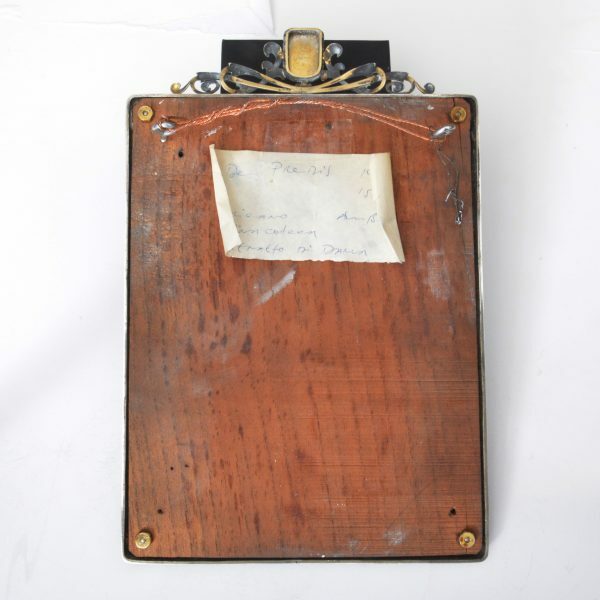 It is signed “Milon Andreewitch, XII 08, Berlin & Athens”. 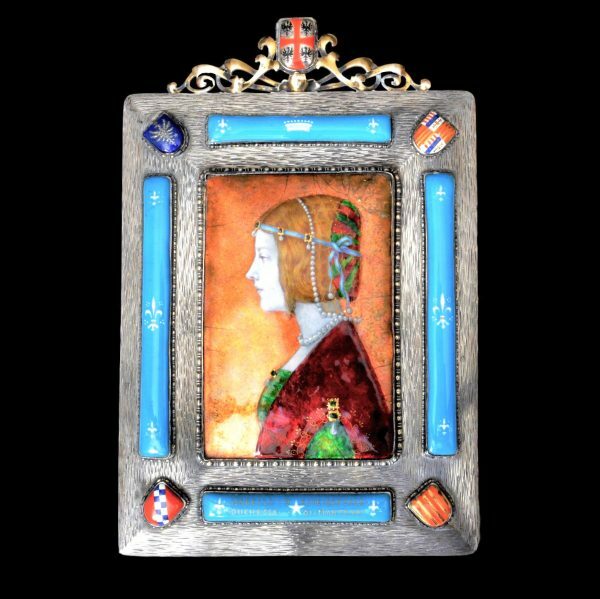 The frame is in 800 standard silver with trompe l’oeil wood effect, and is set with enamels representing Isabella’s coats of arms. 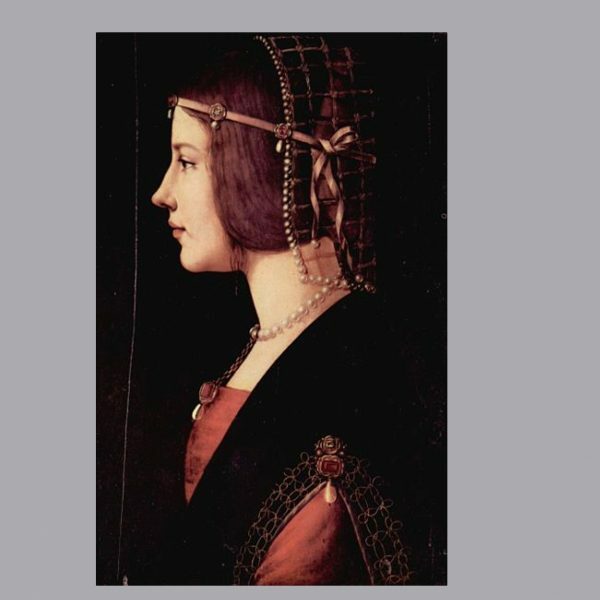 The top right crest is for the family of Aragon, her father being King of Aragon, the top left is her own crest. 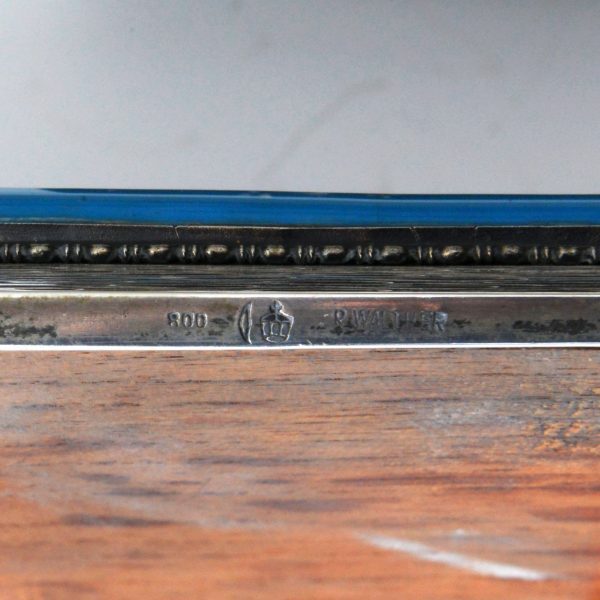 The top of the frame is in silver gilt and the enamel in the crest appears to use the basse taille technique to set four Prussian eagles into a silver background for the Duchy of Mantua. The silver is marked for the Berlin maker, maybe retailer, R(ichard) Walther, 800 German standard. Andreewitch’s work is not well documented but in 1906/7 he gave a solo exhibition of enamels at Kunstgewerbe Museum, Dresden. 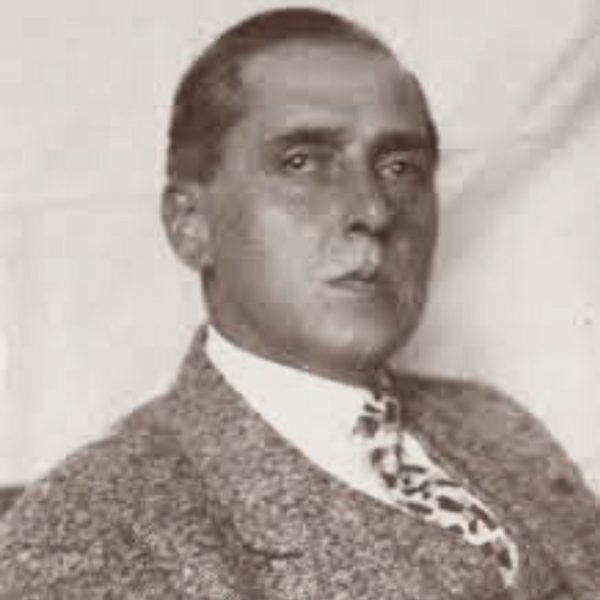 I have found a surviving photo of the artist on the web, included in the images.